Inherited a house in Salt Lake City? - Get Cash Today? Inherited a House in Salt Lake City? – Is Renting or Selling the best thing to do? Here is an example of someone that had Inherited a house in Salt Lake City. First, we’re so sorry to hear about your loss. This can be a very interesting and challenging time for a lot of reasons, and having to deal with estate ownership is hard even at the best of times. You’re probably thinking, “I inherited a house in Salt Lake City, what to do with this property?” Should I sell it? Should I rent it? How should I sell it? 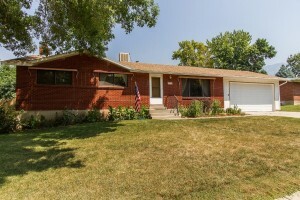 Here at YourPriceMyTerms.com, we are seasoned home buyers in Salt Lake City real estate, and we’re looking to buy several houses each month in the Salt Lake City, Utah area. Every month we get calls from those who have inherited a house and are looking to sell fast… so here some good tips and info to guide you through some of the process. I Inherited A House in Salt Lake City, What To Do Next? 1) Make sure the mortgage is paid and up to date. This is obvious, but if the person or relative who left you a property also had a mortgage (unless it was paid off and had no mortgage, which is awesome! ), you will still have to pay on it (assuming you want to keep the property). Some banks or lending institutions will allow you to assume the loan, while others may want you to refinance into a new loan with your name on it, making you responsible. If you don’t qualify for a new loan, renting the house may not be an option for you. 2) The investment property is only as good as the manager in charge of it. If dealing with real estate brokers, monthly maintenance, tenants, rent collection and all the nuances of maintaining the property is not always the best use of your time, hire a good professional to help you or cash out now. Often times people who inherit real estate decide to keep the house as a investment property and rent it for some extra income. That’s a great strategy that will bring you residual income . You just need to be prepared and ready to manage the property and the timely hassles that can go along with every tenant and toilets. 3) Owning a property costs money. It’s rare to see a property that’s been maintained 100%. Most inherited houses in Salt Lake City need major improvements or updates. Consider hiring a professional property inspector to give you a detailed printout on what you’ll need to do or fix within the next three to five years, along with estimated costs. Surprises in properties are very, very expensive. 4) Selling a house for top dollar costs money for remodeling. If you don’t want to deal with updating kitchens, making repairs, improving landscaping and overall cleanup, don’t worry. We buy Salt Lake City houses for cash, as-is. 5) If the market is going up than you may want to hang on to the investment. We can help you by giving you a comparable market analysis and go over that value of the property today versus the long-term benefits of renting. If you can use the equity in your property in another way that outpaces the performance of the real estate market, you should. If you don’t need the money and the neighborhood is going up in value, hold on to the property– real estate can be a great investment if you know how to correctly read the market. Don’t forget to discuss your inheritance with a tax and legal professionals or accountants before you take action. There are major property and income tax consequences that will dramatically impact the cost of owning your investment. Here is some info on Probate too. In most situations we may help you draw up a lease-purchase agreement that allows you to lease and sell at the same time – capturing the best of both worlds. These kinds of deals can be complicated, but our Salt Lake City investment experience of over 18 years can help you win. 8) Compare a few scenarios that fit your situation. We give options you never knew you had and help you determine the market value for any property near Salt Lake City – if you sold it today for the highest price the market will bear, without doing any work, and the projected future value of keeping it as a rental (along with the costs). on how we can make you a fair cash offer on your inherited house in Salt Lake City today! There is an excellent post that you made. It will be helpful for us. I learn more info from here. You should add more info like this. Thanks for sharing this article. Thank you, hope your business is doing well.